1.1. These General Terms for Sales and Warranty (hereinafter the "Terms") govern purchase and sale agreements for machines, spare parts and services sold to Buyers by JOSE BORRELL S.A. (hereinafter "BORRELL", "Manufacturer" or "Seller"), to the extent that the contracting parties comply therewith, and without prejudice to any specific clauses or Agreement that may be set forth by the parties and prevail over these General Terms. 1.2. It is understood that the parties shall comply with these Terms not only when this is expressly specified in a private purchase and sale agreement or firm order accepted by Buyer, but also when said compliance has been part of BORRELL's offer through the relevant quotation or other commercial documents, such as catalogues, brochures, invoices or legal notices on BORRELL's website: www.jborrell.com. 1.3. In cases involving international sales, both parties submit to the Vienna Convention of 11 April 1980 on contracts for the international sale of goods, for matters not expressly agreed upon in a private agreement and not set forth in the provisions of these General Terms. 2. EXECUTION OF THE AGREEMENT. 2.1. The Agreement shall be considered executed from when BORRELL accepts the order in writing, giving effect thereto. The Agreement shall also be considered executed upon Buyer's acceptance of the firm offer or order confirmation to BORRELL even if this acceptance is not express but occurs through the performance of acts that show a mutual intention to contract which could constitute the beginning of operations with Buyer's assent; a down payment or a letter of credit arrangement, inter alia. 2.2. Written acceptance of both parties is required in order for any change, alteration or amendment of the Agreement to be valid. 3. SUBJECT MATTER OF THE AGREEMENT. 3.1. The subject matter of the purchase and sale agreements to which these terms apply is machines, production lines and systems from BORRELL. Spare parts, components, machinery parts, finished goods, consumables and any other tangible or intangible goods relative thereto, including software, are also subject matter of the Agreement. All these are generically referred to as "machinery" herein. 3.2. Installation and assembly services, commissioning, training and advice, maintenance and technical support, are also subject matter of the Agreement, in the manner regulated in these General Terms. 4. PLAN, DESIGNS AND DESCRIPTIVE DOCUMENTS. 4.1. All information, whether composed of images or written, including but not limited to, weights, dimensions, capacity, prices, performance and other machinery data included on the company website ( www.jborrell.com ) and catalogues, prospectuses, circulars, price lists and other advertising material are purely illustrative and have no binding value, unless the quotation, firm order or the particular Agreement expressly refer to them. Notwithstanding the foregoing, information relating to performance and capacity shall always be considered approximate and shall be considered satisfied, provided the results achieved reach 80% of those expected in accordance with the information provided by BORRELL. 4.2. Plans, designs, manuals, information or technical documents relating to machinery, software or other items covered by the Agreement sent to Buyer before or after the execution of the Agreement, shall remain the exclusive property of BORRELL, for exclusive use by the user for the specific purposes of the Agreement, and may not be used for non-contractual purposes, or copied, reproduced, transferred or communicated to third parties by Buyer without BORRELL's prior written consent. 5.1. Prices are net for machinery made available to Buyer in BORRELL's factory or the place designated by BORRELL (INCOTERM: EX-WORKS). Taxes, costs, duties and other applicable fees shall be added to the price provided in the order. 5.2. If the prices of materials and / or manpower should rise during the machinery construction process, BORRELL may change the offer to reflect these increases, notifying Buyer in advance. However, Buyer may terminate the contract within five (5) days from notification of the price increase by BORRELL, but shall be unable to claim any compensation as a result. 5.3. BORRELL machinery is manufactured to order and adapted to Buyer’s circumstances, so it would be difficult to use for other orders. Therefore, in the case of termination of the Agreement or return of the machinery, for reasons not attributable to BORRELL, Buyer shall be required to pay 80% of the entire order in compensation. Buyer shall also bear the additional costs of any change to the order, once it has been processed by Buyer's acceptance. 5.4. Unless other methods are set out in the contract, quotation or accepted order, and as a general rule, the payment shall consist of payment on account of a deposit of 30% of the price as a down payment for signature or acceptance of the order and the amount outstanding before the machinery's dispatch. Spare parts shall be paid for in a down payment for the full amount before dispatch. 5.5. Any delay by Buyer in the dispatch, or, where appropriate, receipt of the equipment, shall not entitle Buyer to delay the fulfilment of payment obligations agreed. 5.6. Buyer may not unilaterally withhold or reduce payments due to claims or suits filed, or otherwise. Payments may not be unilaterally changed either due to shortage of machine accessories or subsequent work performed in compliance with warranty obligations. 5.7. If agreed payments are not paid when due, BORRELL may charge Buyer the relevant deferment in interest, applying a daily interest on arrears equal to the legal interest rate in effect, at all times plus two (2) percentage points. 6. DELIVERY AND TRANSFER OF RISK. 6.1. Whenever it is not otherwise stated in the firm offer or order confirmed by BORRELL, Buyer accepts the expense and shall retain risk of loss or damage during the shipping of machinery, under the EX-WORKS terms in BORRELL's factory. Buyer shall assume the risk of any loss or damage during shipping and shall take responsibility for shipping charges and insurance thereof. 6.3. BORRELL shall notify Buyer of the date and place when and where the machinery is available so that Buyer may receive it. This notification shall be made with sufficient advance notice, so that Buyer can take the measures usually required in such cases. If the shipment is delayed for reasons beyond BORRELL's control, the risk shall pass to Buyer from the date of the availability notification. If the machinery is not removed within a maximum period of fifteen (15) working days from such notification, Buyer shall be liable for warehousing charges, notwithstanding the passing of risk. 6.4. The cost of assembly and installation of machinery as well as commissioning, are to be borne by Buyer, except as otherwise stated in the firm offer or order accepted by BORRELL. Risk covered by accident insurance during assembly also falls to Buyer. Buyer undertakes to provide personnel and necessary assistance resources during assembly, even if this is provided by BORRELL. 6.5. Unless Buyer, when placing an order, notifies BORRELL of its standards and particular requirements relating to performance of the supply, assembly, installation and accident prevention, these shall be carried out under BORRELL's usual standards. 6.6. BORRELL undertakes to perform commissioning of the system so that Buyer may verify that the machinery is delivered in perfect working order. Once 15 days have elapsed from the date of the commissioning of the system with no incidence notified by the Buyer, it shall be understood that the commissioning has been satisfactory and fully accepted by the Buyer. 6.7. Buildings, industrial units, warehouses or other structures where systems and machinery are to be located, should meet the terms previously stated by BORRELL. Buyer should accept the expense and risk of managing and obtaining any permits, licenses and authorizations required for changes, if necessary, to comply with the terms indicated by BORRELL, allowing BORRELL to enter and inspect for its own verification. If Buyer should fail to meet the terms laid down by BORRELL, BORRELL shall either be exempt from any liability whatsoever, or exempt from having to carry out the assembly until these conditions are met, at its discretion. 6.8. Any reference to INCOTERMS, whether express or relevant to what is regulated by said terms, shall be defined according to the INCOTERMS of the International Chamber of Commerce ( http://www.iccspain.org), in accordance with the version in force at the time of execution of the Agreement, supplements or derogations provided for herein and those to which the parties eventually agree in writing. In the event of any question of interpretation, the INCOTERM which entails a lesser extent of risk and costs for BORRELL shall be applied. 7.1. Title to the machinery sold shall be retained by BORRELL until it has been paid for in full. Until then, BORRELL retains ownership thereof. 7.2. Buyer undertakes to inform BORRELL by registered fax, telegram, registered letter or any other means to certify content and date, about court proceedings or other claims of any nature, filed at the request of third parties which may affect the machinery. Buyer also undertakes to declare to anyone who attempts to carry out any seizure or withholding of the machinery that BORRELL holds exclusive title and to cooperate to establish measures required to protect BORRELL's ownership rights. 7.3. BORRELL is authorized to perform, on behalf of Buyer, all necessary formalities to make the retention of title enforceable against third parties in each and every way. In particular, BORRELL is empowered to carry out, either directly or through its subsidiaries, as many inspections as it deems necessary to retain its ownership rights over the machinery. 7.4. Buyer may not sell, assign, lease, encumber the machinery, offer it as collateral security or transfer it from its location or warehouse, without paying BORRELL the full price, unless express written consent has been obtained. 7.5. If Buyer breaches the obligations set forth herein, BORRELL shall have the right to terminate the contract with immediate effect or enforce performance, at its discretion. If the Agreement is terminated, BORRELL may recall the machinery that it had delivered to Buyer, retaining, as a penalty, the sum that Buyer has paid to fulfil obligations. Additionally, if the sales are agreed on deferred payment terms, non-payment of two of the instalments shall cause the remainder to be considered as due and immediately payable. 7.6. If the amount of damages is evidently higher, the penalties provided for in the preceding paragraph shall not prevent BORRELL from claiming damages for a higher amount. 7.7. Once payments for the full amount have been completed, BORRELL shall issue the appropriate receipt acknowledging payment in full to Buyer in which BORRELL assigns the title and ownership of machinery to Buyer. 7.8. The retention of title shall not affect the transfer of risk described in Article 6. 8.1. The terms for delivery run from: (a) the date on which the contract has been executed; (b) the date on which BORRELL receives the down payment, if the contract sets out such a payment, whichever is later. 8.2. Deadlines are considered approximate in favor of BORRELL and, in any case, with the usual margin for error. Buyer may terminate the contract only after ninety (90) days have elapsed after the delivery date of the machinery, and in any case not before notifying BORRELL of the intention to terminate by registered letter with acknowledgement of receipt, granting BORRELL a thirty-day (30) term from the date of receipt thereof. In that thirty-day (30) period, BORRELL may deliver the machinery specified in Buyer's notification and it shall not owe Buyer any compensation. 8.3. The delivery date shall be automatically extended for a period equal to Buyer's delay in fulfilling the following obligations: (a) payment of the price that Buyer owes as a down payment or payment on account; (b) Buyer's arrangement of the credit letter agreed in the Agreement; (c) delay in notification of performance standards, technical data or other instructions required for finishing, assembly or installation of machinery; (d) if changes are made to the machinery, agreed between the parties after the termination date of the Agreement, the delivery date shall be automatically extended for the time reasonably required to carry out such changes. 8.4. In the event of force majeure or any other impediment beyond the parties' control, which temporarily make the delivery impossible or excessively burdensome, the date thereof shall be extended by a term equal to the duration of the cause. Once BORRELL becomes aware of this impediment, it should notify Buyer of the existence and expiry thereof. The causes expressed in this paragraph shall not entitle BORRELL or Buyer to any compensation. 9.1. BORRELL undertakes to deliver the machinery to Buyer in accordance with the Agreement, and is liable to Buyer for any non-compliance at the time of delivery of the product. 9.2. BORRELL is required to correct any operational defect stemming from a defect in design, materials or workmanship, subject to the limitations set out in the following provisions. This requirement only relates to the warranty period that shall be extended for a period of one (1) year from the date of signing the Commissioning Certificate. If a part breaks or becomes damaged because of defects in materials, it shall be replaced by another part with similar or better features and functionality, and the shipping and assembly costs shall be attributable to BORRELL. 9.3. BORRELL is exempt from liability for defects caused by normal wear and tear, purely aesthetic defects or those which do not affect the functionality of the machinery or its components, as well as those attributable to some of the following reasons: (a) Buyer's misuse of machinery supplied or under different terms than those set forth in the Agreement; (b) use or operation without following the instructions and normal operating procedures or instructions that the seller provides at all times; (c) amendments, changes, repairs and alterations or other work carried out by anyone other than BORRELL of machinery manufactured or supplied by BORRELL without its express written consent; (d) If Buyer does not properly maintain any equipment or operating system on which the software is installed; (e) abnormal conditions or incorrect use of machinery or software (including power interruption or faults in the electrical system and floods); (f) faults resulting from using machinery with other incompatible software or hardware; (g) Buyer's breach of the obligations assumed by it under the Agreement. 9.4. For warranty claims: (a) Buyer needs to provide notification of the fault or malfunction in writing within 48 hours of its discovery, providing information that is as specific as possible about the defect and its causes, if known, facilitating any methods for verification and correction; (b) BORRELL's liability is subject to compliance with the payment terms and other Buyer obligations under the Agreement. 9.5. Buyer acknowledges that BORRELL's obligations and liability are defined entirely and exclusively herein. 9.6. BORRELL shall not be liable under warranty for any amendments and adjustments carried out on the machinery during assembly due to limitations on premises or at Buyer's convenience, even if carried out by the manufacturer's technical personnel, unless they are accepted expressly by BORRELL in writing. 9.7. BORRELL warrants that all documentation supplied with the acquired machinery and materials contains information that is reasonably required to assist Buyer in the machinery's use and maintenance. 9.8. Performing repairs under warranty shall not prolong the maximum term thereof, except with respect to repaired or replacement parts, which are under warranty based on the same Terms and Conditions as the originals and for a warranty period similar to that set forth in paragraph 9.2. 9.9. With regard to the product parts that were not originally from BORRELL but acquired from third parties, BORRELL's liability shall be limited only to warranty claims that it has against its supplier. Orders for repairs and modifications to any machinery BORRELL may carry out using products manufactured by third parties, shall not be covered by the warranty. 9.10. Replaced defective parts shall be made available to BORRELL should it be required. 10.1. BORRELL shall not be held liable for any incidents due to improper or incorrect use or use not included in the product specifications or related directly or indirectly to its own products. Neither shall BORRELL be liable for loss of earnings, loss of sales, loss of revenue, loss of software or data, loss of use of IT equipment, loss or expense of management staff time nor any other kind, nor direct damages, arising from any type of special circumstances whatsoever. No liability shall be assumed for loss of production, loss of profits, loss of use, loss of contracts or for any direct or indirect economic loss, except when this has been set down in the Agreement. 10.2. Any liability that may arise from the machinery, due to events occurring after the risk has passed to Buyer, including any damage to people or things (even when said things are machine parts or accessories), shall be the sole responsibility of Buyer, who is also required to suitably insure any risk without the right of recourse against BORRELL. Buyer consents from this stage to be summoned if any suit is filed against BORRELL for any liability set out in this Article. 11. END-USER LICENCE AGREEMENT (EULA). 11.1. 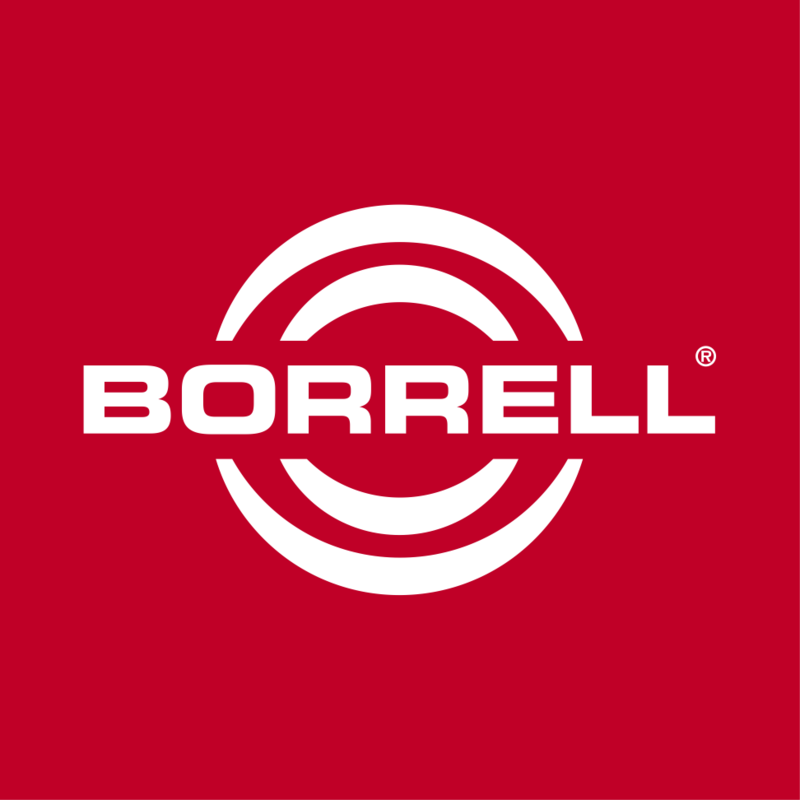 BORRELL grants Buyer a personal, non-transferable and non-exclusive license for software use in order to use and run the machinery, in such a manner as to allow its operation in accordance with its specifications. 11.3. BORRELL owns all intellectual property rights over the software and any other rights thereto, therefore Buyer is only granted the right to use the software on full and final payment. BORRELL, also reserves any right that has not been expressly granted herein, including but not limited to, the rights to copy, disseminate in public, process or distribute the software. Buyer shall have no right to sell or sublicense in any way the licensed software. 11.4. BORRELL shall notify Buyer of any update or new version involving an improvement to licensed software so that it may be upgraded. 11.5. BORRELL shall receive Buyer's written agreement to the technical specifications of software operation within five (5) days of the programs' installation. If Buyer has not indicated agreement after this term, it shall be deemed that the programs have been accepted. 11.6. Buyer undertakes not to access the software's source code or carry out, directly or through third parties, derivative works based on the software, or any operation that could create derivative works, adaptations, alterations, modifications, translations, decompiling or decoding of the software or any of its properties, except with prior written authorization from BORRELL. This obligation shall not apply with regards to software released under GPL (General Public License) or other open source licenses. 11.7. BORRELL is not responsible for any damage or loss on any IT support of the Buyer caused by the use of the software. 11.8. BORRELL warrants that the software shall be in good working order. This warranty is valid as long as Buyer uses the software in accordance with the technical specifications and instructions provided by BORRELL. The warranty shall not cover, in any case, damages or issues in the software that result from a negligent use of the same, improper use, or in general, all use contrary to the specified instructions provided by BORRELL, or those arising from events beyond the reasonable control of BORRELL. In addition, BORRELL shall not be liable for damages or problems occasioned by a modified or non-authorized software version. 11.9. The warranty period is one (1) year from the date of commissioning of the system. Any complement, update or replacement of the software carried out by BORRELL during the warranty period by what remains of said period, or failing this, for an additional period of thirty (30) days, choosing preferably the longer period of time. 11.10. BORRELL guarantees telephone technical advice and, as the case may be, assistance in the Buyer’s installations in all matters related to the operation of the software under license during the warranty period. 11.11. The license granted to Buyer shall expire when, due to software reviews, updates or replacements, Buyer shall be issued a new license. If Buyer breaches the obligations herein, the license shall also terminate. In the event that Buyer breaches any obligations, BORRELL reserves the right to suspend the license application. 12. PROTECTION OF PERSONAL DATA. 12.1. In accordance with Spanish Act 15/1999, of December 13, on the Protection of Personal Data, we inform you about a file owned by BORRELL in which personal Buyer data shall be collected for the purposes of performance of the Agreement. 13.1. Any information owned by BORRELL that it shares with Buyer concerning the machinery, software and features of the commercial offer and BORRELL's services, communication between the parties or any other information obtained by Buyer shall be considered confidential under trade relations. 13.2. Buyer agrees to adopt any measures required to ensure confidential treatment of any information that BORRELL communicates to Buyer. In particular, Buyer undertakes to allow access to confidential written and oral information, whether provided by printed, telematics or other means, only to those natural or legal persons that require BORRELL's information to carry out tasks strictly necessary for the performance of the Agreement, also notifying them of their confidentiality obligation and ensuring compliance therewith. Buyer shall also be liable for the safekeeping of confidential information and shall take responsibility, if necessary, for the disclosure of such knowledge by workers or employees who are at Buyer's service or who have had access to this knowledge due to Buyer or under Buyer's direction. 13.3. Excluding the hereinbefore case, Buyer undertakes not to divulge or disclose in any way to third parties, especially not to BORRELL's competitors, confidential information, whether of a technical, commercial, economic nature or otherwise, that BORRELL has provided under trade relations between the parties without BORRELL'S express written permission. 13.4. Buyer is also forbidden from performing or allowing the performance of reverse engineering, both of machinery and software. 13.5. The breach of this confidentiality agreement by Buyer and / or Buyer's directors, officers or employees, and any third party, whether a natural or legal person, connected directly or indirectly thereto, shall lead to the unilateral termination of the Agreement, and no party may demand performance thereof, notwithstanding compensation for damages that BORRELL may claim from Buyer. 13.6 This obligation shall continue even after the completion of any business relationship between BORRELL and Buyer. 14.1. BORRELL holds valuable know-how relating to the manufacture of machinery for the agro-food industry and complete production lines for nuts, and the results of its R&D are protected by worldwide patents. 14.2. By purchasing the machinery subject matter of the Agreement, Buyer acknowledges BORRELL's intellectual property rights thereto and agrees to respect and safeguard them using all measures available to Buyer and applying the utmost care. Buyer also agrees to notify BORRELL of any misuse of which Buyer becomes aware, by third parties, of patents, trademarks and other intellectual property rights under BORRELL's ownership. 14.3. Buyer agrees to inform BORRELL in writing of any changes or improvements carried out on the machinery. Intellectual property rights relating to such changes or improvements are held by BORRELL, which may offer Buyer equitable compensation, taking into account the value thereof. 14.4. BORRELL agrees to provide Buyer with all information, documentation, technical expertise and know-how necessary for the commissioning of machinery and to train Buyer’s employees for the use thereof. 14 .5. Under no circumstances shall a purchase and sale agreement for machinery be deemed a license to manufacture or market the machinery, components or facilities owned by BORRELL nor the information and technical expertise, or know-how, essential to its commissioning and effective performance. The processing of any order and completed purchase implies acceptance by Buyer of these Terms in each and every clause. In the event of any dispute that may arise from the contracted operation, the parties submit to Spanish Law and the jurisdiction of the Courts of Denia (Alicante), having waived their own jurisdiction.